We talk to Dr Dhanisha Jhaveri about the biological foundations of depression and anxiety. Two key structures, the hippocampus and the amygdala are integral to memory and emotions, respectively, and Dr Jhaveri studies how these function normally in order to understand what might happen when things go wrong. Jessica McGaw: Many neurological disorders can hide in plain sight. Depression and anxiety fall into this category and can often be misdiagnosed or dismissed by people as just having the blues or the mean reds. However, these disorders have a biological basis. There are physiological issues at play and scientists are working hard to understand how and why it happens. Some neurological changes which can disrupt connections in the amygdala, the part of the brain that controls the fight or flight response, can be caused by neuron death, genetic disposition or chemical changes in the brain. These disorders have psychological and social implications and it’s not something that people choose or just need to get over. This field requires more scientific study to help find the answer and these disorders are more widely spread than you might think. Three million people in Australia live with depression and anxiety while globally there's more than 300 hundred million. Eeyore from Winnie the Pooh encapsulates this neurological conundrum well when he says: “I'd look on the bright side, if only I could find it;” and QBI researchers may have done just that. The bright side I'm referring to is new research by Dr. Dhanisha Jhaveri. She joins Donna Lu today to discuss this research and how depression affects the brain. Dr. Dhanisha Jhaveri: So, I’m really driven by understanding these fundamental mechanisms that occur or happen in our brain. Be it production of new nerve cells or how they are connected; or how their activity is regulated because we require this understanding before we are able to rationalise and come up with a design or a strategy that will help to fix the circuits or the cells in neurodegenerative diseases or in cases like anxiety and depression. Donna Lu: And you study a couple of specific areas within the brain. Can you elaborate a little bit about them? Dr. Dhanisha Jhaveri: So, my studies have focused on two areas of the brain. One is the hippocampus which is a seahorse-shaped structure in our brain. That area has been shown to play a really important role in regulating our learning, memory and even regulating our mood. The other area that I'm really interested in is called the amygdala. Now, this is the key area which is important for emotional learning and processing. What is fascinating about these areas besides the fact that their dysfunction is implicated in major neuropsychiatric disorders such as anxiety and depression is the fact that at least one of the areas has been shown, the hippocampus has been shown to retain the capacity to generate new nerve cells even in the adult life. So, this is what my previous work had focused on in terms of how new neurons are born and regulated in the hippocampus, whereas my new work now focuses on the question whether the same mechanism also operates in this other area, the amygdala that I talked about, which is involved in emotional learning. Donna Lu: So, in terms of your specific research into that area, can you tell us a little bit about what you've done in the past? Dr. Dhanisha Jhaveri: So, I have been really interested and driven by questions in terms of understanding the mechanisms that underpin the renewal of these new neurons or regeneration of new neurons in the adult brain and understanding how we can actually harness this form of neural plasticity to develop strategies to treat various neurological disorders such as anxiety and depression. So, I joined Professor Perry Bartlett's lab as a human frontiers fellow and I had basically two major aims when I joined his lab. One was to really investigate the nature of these brain stem cells. Where do they reside in the adult brain? How are they regulated? And, what are the kind of neurons that they produce? And, the second aim that I had was to understand what these new neurons actually do in the adult brain? What is really their function because I believe that understanding how they are regulated and uncovering what they really do will allow us to gain a better understanding of this process. So, by understanding how they're regulated and in turn how they regulate the local circuitry and how that dictates the changes in various fundamental brain processes such as learning and mood, we will be able to better harness this process in terms of a therapeutic potential. One of the first things I started off on in Perry's lab was really to understand how clinical antidepressants work. At that time, there were a couple of reports that suggested that clinical antidepressants basically work partly by increasing neurogenesis. So, one of the first experiments we did in that regard was to actually add the antidepressants that are used in the clinics in our neural stem cell cultures and ask the question whether they can actually directly regulate the activity of these stem cells, and interestingly we found that not all, but a subclass of these antidepressants, do in fact act on these stem cells and increase the production of new neurons. Now for me that was really fascinating because this was the first report that showed that clinical antidepressants actually can have a direct effect on stem cells. Following from that work, we were trying to understand what was really the nature and what are the kinds of different stem cells present in the hippocampus and towards that goal, we really develop a new method to actually purify the stem cells and upon doing that we showed that in fact in the hippocampus there is not a homogeneous population, but perhaps there are actually distinct populations of these stem cells which can be activated by different stimuli. We were able to purify but we were also able to uncover the stimuli that led to that activation of these stem cells. These studies provided the groundwork for the present study in terms of asking whether a similar population of stem cells also exists in other areas of the brain such as the amygdala. Donna Lu: What I found so fascinating about these antidepressants is that they have been in use for many years now but doctors and researchers didn't necessarily know that they were stimulating this area in the brain, the hippocampus. I want to talk a little bit about your recent research in collaboration with Professor Pankaj Sah and Professor Perry Bartlett. You've discovered that new neurons are also produced in a different area of the brain. Can you tell us about that? Dr. Dhanisha Jhaveri: Yes. I think this is an extremely fascinating story which began again a number of years ago because the question that we had was, are these stem cells only restricted to the two regions that up to now people believed contain these stem cells or are these stem cells there in other areas of the brain which are also important and regulating our emotions. Professor Pankaj Sah's interest was in terms of understanding the circuitry and the region underlying processing of emotional memories and this structure is called the amygdala, which interestingly lies very closely opposed to the structure that I was talking about previously, the hippocampus. And these two hippocampus and amygdala circuitry really talk to each other and have reciprocal connectivity and influence the neuronal activity that happens in these regions. So, we asked the question that if we see that there are stem cells in the hippocampus, is there any possibility that there are possibly some stem cells also present in the amygdala? And, what was interesting and fascinating for us was that we indeed found that there was a population of stem cells in residing in amygdala. Although this population was very small compared to what we have shown is present in hippocampus, nonetheless these stem cells, we show in this paper, could actually generate new neurons, and what's really interesting is the neurons that these stem cells generate in amygdala are actually quite different in their properties than those present in the hippocampus. So, not only there is a small population but they generate neurons which are having completely different properties than what's present in hippocampus. That this is probably the first time that anyone has shown that amygdala is truly a neurogenic region and has the ability to produce new neurons even in the adult brain. Now, this chain really changes our understanding of how the amygdala circuitry could be regulating the emotional learning and emotional memories. Donna Lu: I want to jump back to talk about the amygdala in general. So, you've mentioned that it's really important in emotional memories and learning. The amygdala is particularly associated with something we call fear learning or fear conditioning. Can you tell us about that? Dr. Dhanisha Jhaveri: So, fear conditioning is actually a behavioral paradigm in which the organism actually learns to predict aversive events. So, as you said it's actually a form of learning in which an aversive stimuli such as for example electric shock is associated with a particular neutral context or a neutral stimulus like a tone or a cue. And this results really in the expression of fear responses to the original neutral stimuli or the context. So, this happens when a neutral stimulus is paired with an aversive stimulus. Let me give you an example; I'm sure many of you would have basically experienced the bee buzzing in your ears. When you are out in the garden and the bee is buzzing you don't really expect anything, but if you were stung by the bee as a child; and when you're an adult I mean when you hear that bee buzz, the immediate response is to basically shoo away the bee because you don't want to be stung again. So, this is precisely what fear learning or fear conditioning is. So, initially that buzz was not really a stimulus that you would respond to; but now because the bee has really stung you, you associate that buzzing with stinging and what you want to do is really avoid getting stung. What you're going to do is either run or shoo away the bee. Donna Lu: To expand on your new research then, in terms of the amygdala and these new cells that you've discovered, what implications could that discovery have for, say, treating anxiety disorders? Dr. Dhanisha Jhaveri: Yes. So, both these regions, hippocampus and amygdala, as I said because they're heavily involved and processing our emotional learning and memory, this function in these areas, or when things don't go right in these areas, actually is one of the hallmark features of what happens during depression or anxiety. So, what we think these new neurons in amygdala could be doing is really setting the tone because they have inhibitory properties, they actually may silence other neurons and what we know is overactivation of amygdala is probably what happens during anxiety. So, anxiety disorders are really marked by increasing neural activity in this region in amygdala and by increasing the production of neurons, which I've said is inhibitory, you can actually dampen down this activation. So, it's basically setting the balance of these new neurons probably will help in that balance so that you don't have excessive activity of this region. Donna Lu: So, over activity in the amygdala is linked to anxiety disorders as you mention. So, is that things like post-traumatic stress disorder? Dr. Dhanisha Jhaveri: Yes, post-traumatic stress disorder is a classic example of that, but also includes other phobias or generalised anxiety including even the obsessive compulsive sort of disorder. All these different types of anxiety involve overactivity of amygdala. So, while we do not yet know what's really the functional significance of these new neurons and the amygdala, this is precisely what we are trying to uncover in our research at the moment. Donna Lu: So, in terms of existing anxiety drugs, do we know what effect they have on the amygdala? Dr. Dhanisha Jhaveri: Well, I know that they do work on regulating the activity in the amygdala; what we don't know at the moment is whether these anxiolytic drugs will have any impact on the production of new neurons. And again, that's something that is really interesting and something that we are pursuing at the moment. Donna Lu: When you mentioned anxiety and depression before, you talked about the interconnectivity of the two regions that are involved in these two disorders. I think in the general public's mind, anxiety and depression are quite distinct conditions, but previously when I've talked to you what I find so interesting is that there's actually quite a bit of overlap between the two disorders. Can you elaborate a little bit further on that? Dr. Dhanisha Jhaveri: So, these neuropsychiatric disorders that you just described, the anxiety and depression are actually quite complex disorders, and their diagnosis is primarily based on a very subjective testing. So, and it we also know that often there are there is a high comorbidity between the two disorders. So, people suffering from depression often actually exhibit signs of anxiety and often the very anxious people are suffering from depression. So, anxiety in general is a fear of the future. So, our inability or excessive thinking about a future in a fearful fashion is primarily anxiety. Whereas, with depression is really the current state of our mind whether it's low mood, lack of interest, lack of motivation, lack of any pleasure-seeking activity; so these are the characteristics of depression. So, while they are quite different there is a lot of link and there is a lot of common aspects in the two. Donna Lu: So, in terms of the research which is very exciting, what’s next? What’s the future application for this discovery? Dr. Dhanisha Jhaveri: So, the first thing that we really would like to know is what these new neurons are doing. That they're generated in the adult amygdala, what is their role? What is their function? So, this is the first step that we're trying to address by manipulating the activity of these new neurons and also trying to ask what we had asked with hippocampus, do the current antidepressants which again some of which show very strong anxiolytic activity and treat many symptoms of anxiety, as well would also have an effect in regulating the production of new neurons in the amygdala? So, these are some of the first questions we would like to ask and understanding this is going to be very important in really designing or thinking about future strategies that one could use to manipulate the circuitry that will be beneficial for the treatment of anxiety disorders such as post-traumatic disorders or obsessive compulsive disorders. Donna Lu: In terms of stimulating these new cells, the research from Professor Perry Bartlett's lab is now looking at ways of stimulating the cells in the hippocampus not necessarily with drugs but through exercise. They’re currently running a clinical study looking at the effect in an elderly population. Are there potentially ways to stimulate these cells in the amygdala without using drugs? Dr. Dhanisha Jhaveri: I'm sure exercise will have some beneficial effects even in the amygdala although we haven't really tested that as yet in our experimental setting. So, what would be really interesting would be to actually look if exercise leads to increased production of neurons even in amygdala and if that is the case, if that's what it turns out that then it would be very interesting to ask the question that the beneficial effects of exercise that we see in terms of increasing the cognition, like learning and memory beneficial effect in terms of increasing or improving our mood. Whether these two effects are because of increased production of new neurons and hippocampus as well as increased production of new neurons in amygdala. So, one can manipulate the circuitry in a selective fashion where we can actually stop or halt the production in one region without affecting the other region and ask the question, which regions contribute to the learning effect versus the mood effect? Donna Lu: It’s such a fascinating research. Is there a particular aspect that excites you the most? 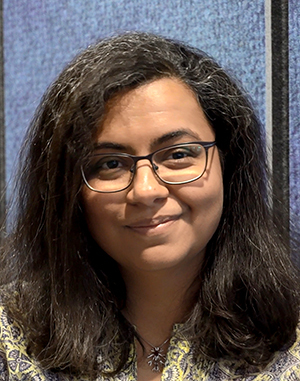 Dr. Dhanisha Jhaveri: Yes, for me the serendipitous observations really, really excite me. What really motivates me is basically the fact that we have gone into an uncharted territory, opened up some new doors and there is a whole new world out there to be yet discovered in terms of how this process is regulated, what is its role, and how in the end we can utilise this information to come up with better strategies to treat some of the dysfunctions associated with this area such as anxiety and depression. So, in the end if you would like to put it in a simple way, this is a small piece in the big puzzle that we are trying to solve. Jessica McGaw: That was Dr. Dhanisha Jhaveri discussing her exciting research that can help in the fight against depression and anxiety. If you are experiencing any signs and symptoms of depression, please see your local GP or if you need to talk to someone, please call lifeline on 13-11-14 or Beyond Blue on 1-300-22-46-36. Both organisations have 24-hour support. That's all for this episode. Our interview was conducted by Donna Lu and our podcast was produced by Jessica McGaw. If you enjoyed this episode, tell your friends about it. Give us a review on iTunes or let us know what you think on Facebook or Twitter. Thanks for listening.